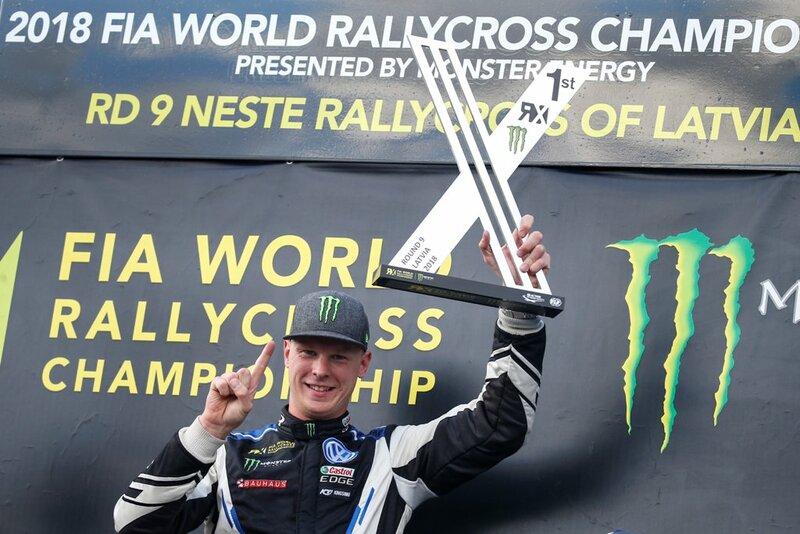 Johan Kristoffersson and PSRX Volkswagen Sweden’s incredible season continues. 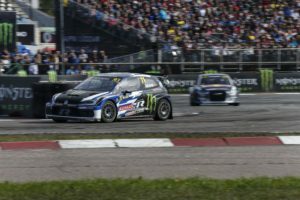 The superstar Swede has now beaten his own record for the number of victories in a year, with his eighth success from nine 2018 races coming up at World RX of Latvia in Riga on Sunday. Johan’s latest victory was crafted from an exceptional race weekend where he showed the kind of pace and guile we’ve come to expect from our world champion. And it’s a race win that takes him – and PSRX Volkswagen Sweden – another step towards another title. Petter was back in Riga for the first time since being involved in a heavy crash last year. The triple world champion Norwegian admitted he’d been touched by the support he received after revealing his medical condition ahead of the race. 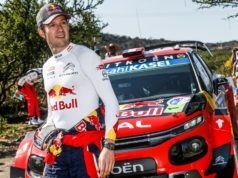 But, for the third World RX of Latvia in succession, Petter failed to emerge with the result he’d hoped for – a collision in the semi-final kept him out of the top six this time. “I had some great memories of winning my first world championship here last year and it was nice to be back again. We did our testing here in the middle of the year, but to see the grandstands full again was really bringing back the memories of last year – it made me want another world championship! “But what a fantastic weekend again! 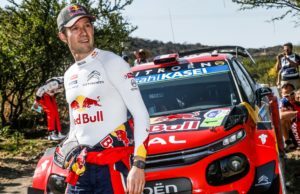 I’ve got to say Q1 was crucial here – it was so tight, but beating Loeb by nine-thousandths of a second was vital to get pole for Q2. That helped shape the whole weekend. Turn one here is so important. We saw a lot of chaos here and I tried my best to keep out of it and succeeded thankfully. From pole, it is, of course, much easier to brake late and keep position. “I don’t believe in bad luck. But that’s three times in a row now in Latvia… I feel like I had good pace all weekend but just never had the chance to show it. I was stuck in traffic a lot in the morning. There were some really tough battles. But it meant I lost so much time and couldn’t get the results I needed to get a front-row spot for the semi-finals. “That obviously proved to be vital, as in turn one in the semi I felt a hard hit from behind and was pushed into the wall. At that point getting into the final was basically impossible. Our speed in those last five laps was really good and showed what could have been. “I feel so lucky to have him in my team, both as a driver and a person. These results he’s getting are hard to believe, but he just keeps going, very proud to have him with us at PSRX. 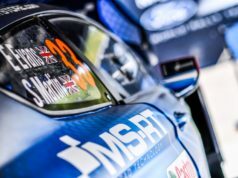 “It was also great to welcome so many of our friends and partners to this event, it really pushes us on to perform even better and we all really appreciate it – and congratulations to the organisers on another really well-run event. “It was a tough decision whether or not to talk about what happened for the last year. But I wanted people to know why I had not really been myself. Honestly, the support I got has been more than I could ever imagine and I have to say a big, big thank you to everybody for these messages. “We knew we had good pace at this track. The mid-season testing gave us some really good data and we came with the Volkswagen Motorsport guys having some good plans for taking the car forward. The competition is always tough in World RX. There’s no doubt about this and we really saw what our rivals are capable of – particularly Peugeot – at Riga. “But Johan came through again with an amazing start and a great control of the final. It’s a real shame for Petter, he doesn’t have any luck in Latvia. “Now we move on to an exciting new chapter at the Circuit of Americas. It is going to be so, so exciting! Because he’s broken another record (not just one), we though it only fair to make this week’s performance fact… Johan. World RX of Latvia is his eighth win from nine starts this season – a record; his record-breaking 17th career win; sixth win in succession (another record); 16th time as top qualifier and sixth TQ in succession (this time with the biggest margin ever – and, yes, you guessed it: that’s a record).